We are engaged in manufacturing a precision range of Spiral Binding Machine with Accessories that is in compliance with the standards of the industry. These are designed using premium quality raw material and are widely appreciated for their low maintenance, easy installation and hassle free operation. 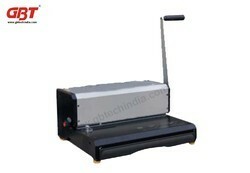 Our range is thus, widely used across the globe and offered to the clients at affordable prices. 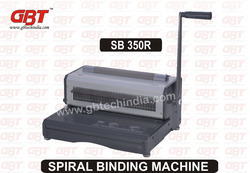 Considered as a trustworthy name in the industry We indulge in as a manufacturer, wholesaler, exporter and supplier of Light Spiral Binding Machine – GBT that is easy to install and can be easily shifted from one place to another. 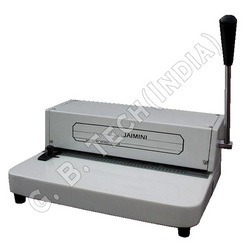 These Spiral Binding Machine are designed using superior quality raw material and are available in various sizes & dimensions. 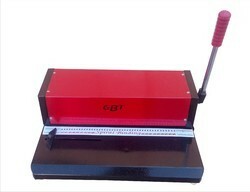 The binding machine is reckoned for its superb punching capacity, low maintenance and hassle free operation. 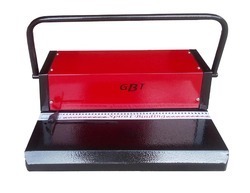 GBT that is easy to install and can be easily shifted from one place to another. 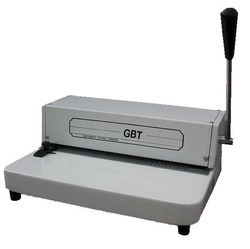 Banking on our rich expertise, we proudly engage our-self in manufacturing, supplying and trading our precisely designed GBT A4 Spiral Binding Machine. Designed using optimum quality machines, these are available in A4 sizes. These are appreciated for their precise functioning, binding thickness and better punching ability. The cost effective range is widely appreciated by our clients across the globe. 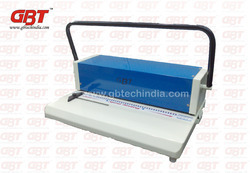 Banking on our rich expertise, we proudly engage our-self in manufacturing, supplying and trading our precisely designed GBT B4 Spiral Binding Machine. Designed using optimum quality machines, these are available in B4 sizes. 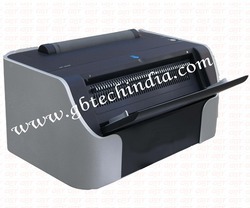 These are appreciated for their precise functioning, binding thickness and better punching ability. The cost effective range is widely appreciated by our clients across the globe. 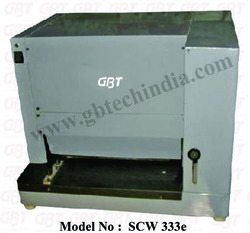 Banking on our rich expertise, we proudly engage our-self in manufacturing, supplying and trading our precisely designed GBT A3 Spiral Binding Machine. 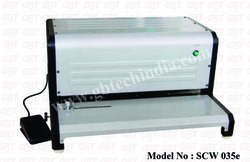 Designed using optimum quality machines, these are available in A3 sizes. 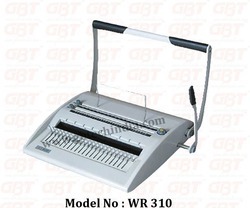 These are appreciated for their precise functioning, binding thickness and better punching ability. The cost effective range is widely appreciated by our clients across the globe. 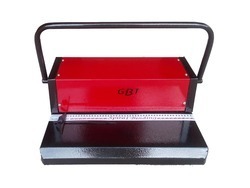 Backed by a state-of-the-art infrastructure facility, we are involved in the manufacture, export and supply of Heavy Duty Electric Binding Machine which is very easy to operate and can be easily installed. These are capable of punching more than 30 papers within a small time period. The range is available in various sizes and consumes less energy. Electric die changeable spiral / comb/ wiro Binding machine any one punching die Punching capacity 30-35 sheets at a time, Finger punching hand. Expecting to achieve most extreme benefactor fulfillment, we are engaged in offering an exclusive Spico Spiral Binding Machine. Manufactured utilizing the top-grade fundamental materials and progressed engineering, it is tuned in to diverse prerequisites of our bounteous supporters, we make sure it goes to you flawless. 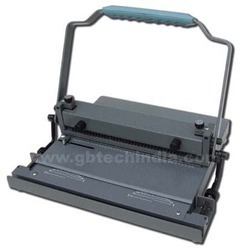 These are appreciated for their precise functioning, binding thickness and better punching ability. Electric die changeable spiral Binding machine size A/3 with any one punching die Punching capacity 30-35 sheets at a time, Push Finger punching hand operated M/c. 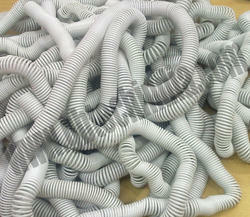 Spiral Binding (also called Coil Binding) seems to be used on the job to describe just about everything. 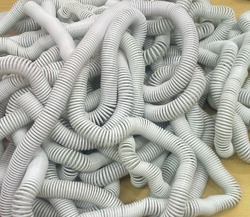 In reality, Spiral Binding is binding done "by using a spiral of continuous wire or plastic looped through holes." Plastic coil is neat, strong, flexible and light weight, offering a wide range of colors and relatively easy binding process that has made it the fastest growing segment of the mechanical binding industry. A coil book will fold 360 degrees and lay flat when opened, making it great for documents sent through the mail. 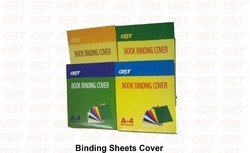 Check out our Presentation Cover Stock for high quality clear, frosted and leatherette covers.